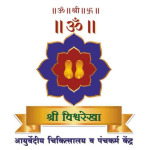 Dr. Nikhil Randive is a renowned Ayurveda in Rajarampuri, Kolhapur. He is currently practising at Shri Vishwarekha Ayurvediya Chikitsalaya and Panchakarma Kendra in Rajarampuri, Kolhapur. You can book an instant appointment online with Dr. Nikhil Randive on Lybrate.com. Lybrate.com has a number of highly qualified Ayurvedas in India. You will find Ayurvedas with more than 37 years of experience on Lybrate.com. Find the best Ayurvedas online in Ratnagiri. View the profile of medical specialists and their reviews from other patients to make an informed decision. Hi, I am following strict schedule include daily Yoga, Exercise, no Junk food ,Good sleep but I don't know why my hair loss is started .It is in starting phase so I am oiling my hair daily as well (As per my mother. I am taking nutrilite vitamin and protein supplement from last 1 year. Please suggest me ,what more should I do .Currently only middle portion is infected. May be this problem is due to hard water. Start applying Nilibhrungyadi Tail for your hair. Also start taking Lakshadi Guggul Vati twice a day. Home remedy for pigmentation on the face. I got this discoloration of the skin on my fcewhen I was pregnant. Is there any treatment for this, please let me know. Good Morning, For Discolourations​ you should apply Manjishtha Churna with honey. Also start taking Mahamanjishthadi kwath 20 ml twice a day for blood purification and proper colour tone. For better results you need to provide proper history and symptoms. You can consult privately for accurate treatment. Meri age 24, unmarried hoon. Mujhe 10 months pehle Irregular Periods hone ki problem thi weight bhi bewajah bardh raha tha. Maine gynaecologist se consult kiya to unho ne mere test karawaye ultrasound karwaya to usme PCOS ka pata chala pehle 3-4 months to without medicine periods aate hi nahi the, lower abdomen me bahut pain bhi rehta hai lekin April 2017 se mere periods regular aate hain lekin lower abdomen me bahut pain rehte hai bharipan bhi rehta hain. Jab periods hote hain uss time to rehta hain hi pain lekin periods khatam hone ke bad bhi bahut pain rehta hain. Kabhi kabhi bahut chakkar bhi aata hain, bechaini, ghabrahat sa hota uske sath sath chest me bhi pain hone lagta hain bahut thakan bhi hota hain. Jaise kuch bhi sochte hain koi bhi bat ko lekar bahut tezz headache hone lagta hain. Morning me jab bhi so kar uthti hoon to bahut tezz headache rehta hain kabhi kabhi to bed se uthte waqt turant niche gir jati hoon headache ke wajah se Mujhe thyroid ki bhi problem hain. Eltroxcin 50 mcg leti hoon. Main kya karu mujhe suggestion dijiye. Thank You. You should start taking Dashmul Kashaya 10 ml twice a day before meals just 10 days before next periods. If you can provide your details and reports to me then I can suggest you accurate treatment. I have skin problems. It becomes very dry during winter. please suggest me some medicine. I suggest you take, ghee in your regular food. Also apply chandanbala lakshadi tail all over your body in morning before bath, keep it at least for 20 mins then wash it while bath. There's no need of any other medication. Thank you. I am 21 years old age and I have more belly. So what should I do in order to reduce it? Im 21 year old male. In my face uneven colour tone is there and pigmentation is there and also too oily skin. What are advices for this problems. Apply mixture of amalaki musta haridra manjishtha amraharidra raktachandanacha and masurdal powder in equal quantity with rose waster daily at least for 20 mins and apply manjishtha with honey for pigmentation. How to stop the excessive saliva production during sleeping time. What is the cause of this problem. Cause of excessive saliva secretion during sleep is'krumi' (worms) according to ayurveda. I suggest you take tab. Krumikuthar thrice a day syp. Vidangarishta 3-4 tea spoon before bed for 15 days thank you.